Interested in learning how to competently handle and shoot a US Service Rifle such as the M-1, M1 Carbine, M-1A / M-14, or the AR-15 / M-16? Interested in qualifying yourself to purchase US Service Rifles such as the M-1, the M1 Carbine or the 1903 Springfield at an affordable price? Interested in transforming yourself from a “plinker” into a person capable of accurate shooting at 100, 200, 300, 500 or 600 yards? If you answered “Yes” to any of these questions, then the Vermont State Rifle and Pistol Association (VSRPA) has just the program you need - a Civilian Marksmanship Program (CMP) Shooting Clinic. 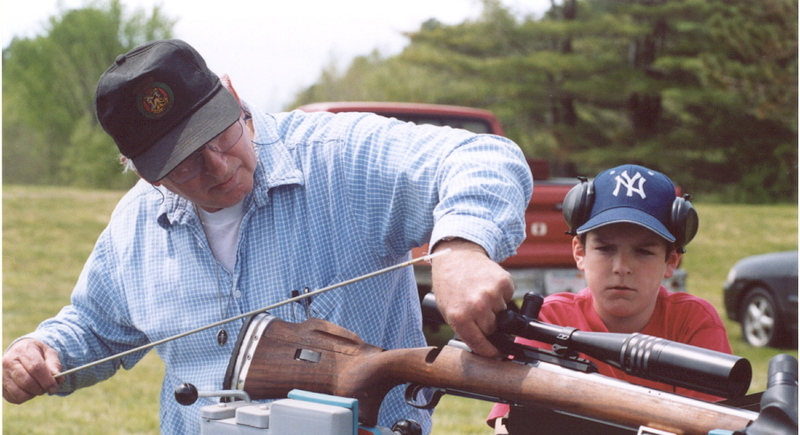 In essence, a High Power Clinic is an educational event open to Vermonters of all ages that provides instruction on the various aspects of High Power competitive shooting. Instruction is given by NRA qualified instructors, with the clinic culminating in a live-fire fun & informal match. Everything that a person needs to competitively shoot is supplied, including rifles, ammunition, scopes and related equipment; however it is also fine for an attendee to bring their own US Military Service Rifle and use that. Subsequent to receiving hands-on training, the attendees are then invited to participate in an informal live-fire “mini-match”, with one-on-one attention, such that each person is given the instruction needed to successfully participate in a formal match. To facilitate the transition from theory to competition, the clinics are timed so that they are followed by an NRA-sanctioned formal match the following day, and attendees are invited and encouraged (but not required) to participate in. For any attendees that does want to participate in the formal match – the VSRPA can provide coaching during the match so that clinic attendees can compete with confidence. Gain from the experience of some of the Top High Power Shooters in not only Vermont but the United States.